Located in close proximity to Doylestown, this professional office space + warehouse offers the best of both worlds for a growing business: over 3,000 sq ft of partitioned office space with full accommodations including a large kitchenette, conference room, break room, and 10+ private offices, attached to a clear span production facility with two warehouse heaters and two subdivided rooms plus a bathroom. 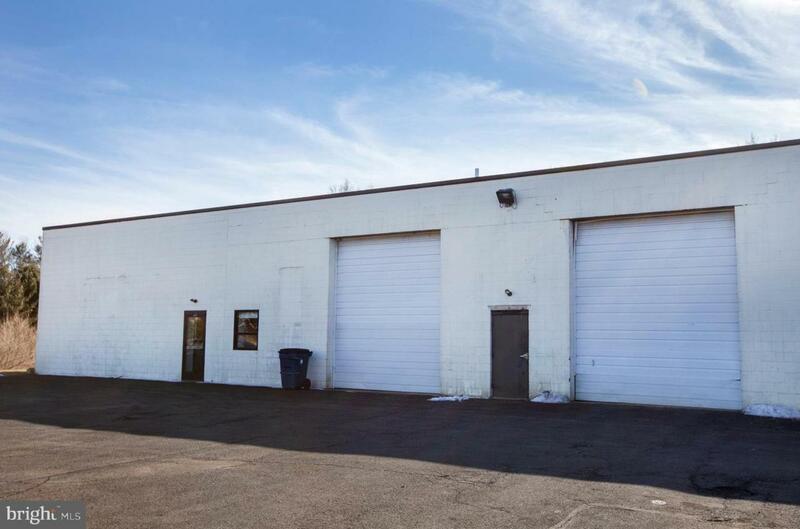 Perfect for a growing business that needs roll up doors near a prominent state highway (route 611), with easy access to the greater NE Corridor including main roads to Interstate 78, 295 (Philadelphia, NJ Turnpike), Allentown/Bethlehem, NJ, NYC, and more. CAM charge is $1.45/sq ft additional and includes snow removal, taxes, landscaping, and structural insurance.